Founded in the spring of 2014, Meredith College's 1891 Club is devoted to helping current students prepare for lifelong relationships with the College as partners, advocates and investors. Within a given year, there will be members-only opportunities in which students will be able to network with Meredith College alumnae and gain the professional and social skills necessary for life after graduation. Members will also benefit from admission to special events, discounts at local restaurants and free t-shirts! This student alumnae organization strives to spread awareness of Meredith College traditions, history and the importance of alumnae giving so that the education, joy, and personal growth one experiences as a student can be preserved for the future generations of Meredith College women. 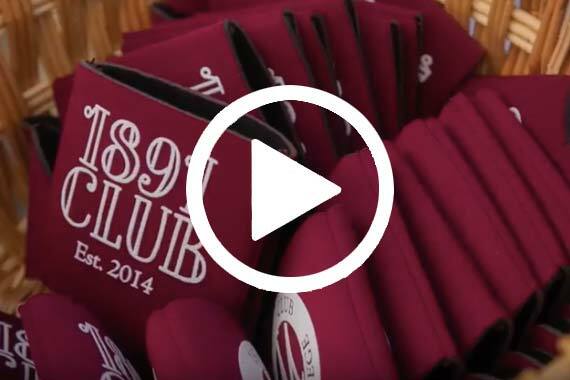 Meredith College's 1891 Club held their annual kick-off event on September 6. The 1891 Club is devoted to helping current students prepare for a lifelong relationship with the College as partners, advocates, and investors.